Traditional website design is usually a mess of a project. It takes three-four months to get a site ready for launch, if you’re lucky, and deadlines inevitably slip behind by weeks, or even months. Most websites feature a small handful of key pages, while the rest of the entire website makes up a very small percentage of use and traffic. But, in the traditional website launch model, an outdated website can remain live while a much better version collects dust, waiting for the endless deliberation to end on content and design of unimportant pages. A lean, agile website design process is a much smarter way to launch a new website. Agile website design may sound complicated, but it’s a very simple process to follow. It’s much easier, in fact, than managing a traditional website launch, which is why it goes much faster. Getting to the first look is quite easy. First, you must craft the right message for the page copy. Then, once the page copy is ready to go, the copy is loaded into a rapid prototype. Once the prototype is completed, it’s ready for a designer. They will take their best shot at designing a launch-ready page. Once the prototype is designed and polished by the designer, it’s ready for the feedback and iteration phase. It’s important to remember, that you should not be concerned about the message at this point. That should have been finalized before the prototype was created. Does the design match your brand? Are there any glaring user experience problems? Does any imagery need to be adjusted. Remember, no matter how smart the internal team is, most of them are probably not design or user experience experts. So, while their feedback is important, it should be easy to separate good feedback from personal preference in design style. The last thing you want to do at this stage is try to turn a trained, professional designer into a puppet. Your feedback should focus on brand consistency, and finding any errors in the page. If a wrong color is used by mistake, or if an image doesn’t reflect the brand well, those are things to call out. A single stakeholder should make a list of exact changes (not suggestions) and the page should be assigned back to the designer to make the tweaks. If step one is executed effectively, and if step two is handled professionally, you should have arrived at step three relatively quickly. In this step, a single stakeholder reviews the list of changes against the final version. If all changes have been made to his/her satisfaction the page is completed and ready for launch. In Step-3, no additional changes should be discussed. The only thing that may cause a repeat of step-3 is if the designer missed an item from the list, or made an obvious error in his revisions. Any preferences for additional changes to the page should be added to a wishlist and put on ice. You've made a page that's better than the one you have now, and it should go live to start seeing how it performs. By launching now, you're running an agile process & can use real user data to prioritize future improvements or design iterations. But, the real benefit comes from the increased time-to-value. When a new, better page is delayed for revision or in the pursuit of subjective ‘perfection,’ the inferior version of the page page remains live on the website. Every day the inferior page is live and the better page is held in reserve, results suffer. The time-to-value of a lean launch design method upgrades your website experience and effectiveness earlier, which means faster ROI, and a better experience for your users. Due to the increased time-to-value, and fast iteration times, the agile design process will transform your design team. And, even more important, will have a positive impact on the profitability of every website project. Speed is the hallmark of an agile website design process. 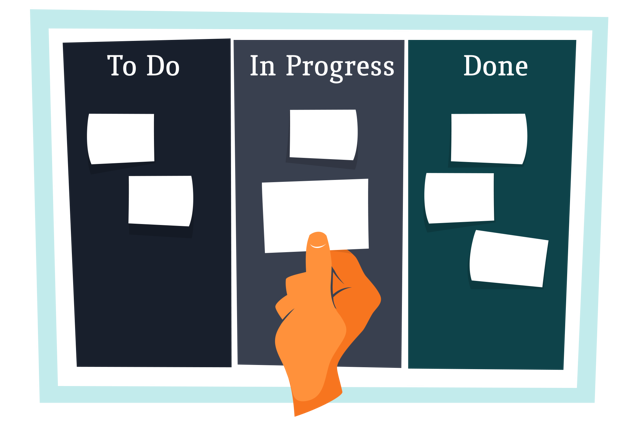 Setting up the sprints is an easy way to see the improvements of agile over traditional design processes. Depending on the complexity of the page, step-1 typically takes 13, 21, or 34 hours to complete. All stakeholder feedback is given at once, through a single, responsible stakeholder. This step should take about 1 hour to complete. All of the feedback from step 2 should be addressed, or there should be a good reason if any of the revisions could not be completed. At the maximum, this step should take only a couple hours to complete. Fear of not reaching “perfect” is usually the main factor in delaying a website launch. Most often, that fear is not what the customer will think, but what colleagues will think. The key to an agile launch is belief in one principle: Never delay learning. If a new design is 50-100% better than what is currently live on your website, the page should launch without delay - even if internal stakeholders want it to be better. Launching an improved page allows you to start collecting user engagement data, and making actual improvements based on the customer experience rather than internal assumptions. The longer a page is held from launch means the longer before you know how the users will interact with it. The agile design method helps you to start learning faster, so you can focus iterations on changes that will actually improve performance, rather than just placating stakeholder preference. If your design team isn’t leading the marketplace in value per hour, you will become obsolete. The pace at which startups and agile teams can establish traction and scale disrupts the marketplace. Your design team can either be a disruptive force, or a force that gets disrupted. There are no downside to following a lean, agile design process. Even if your team decides to do a second round of feedback before signing off on the final (step-2 again), you will still be running a smoother, faster, more scalable process. 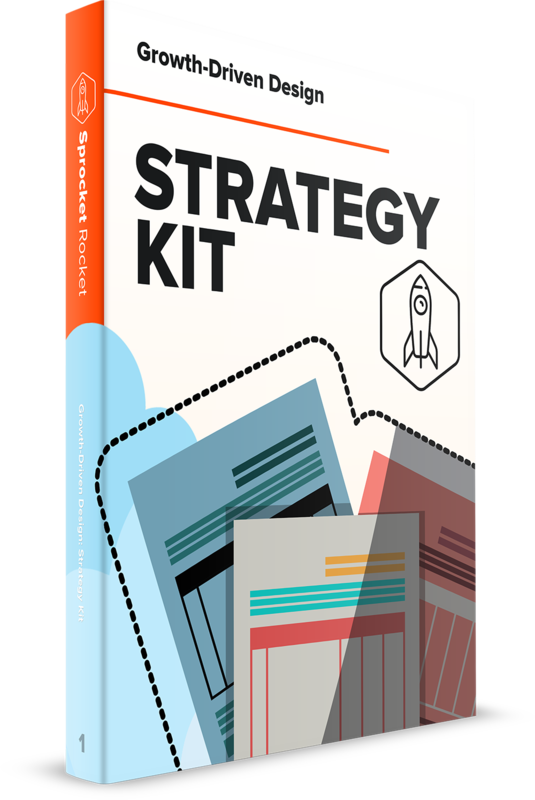 The step by step blueprint to take your website design project from concept to complete in 60 days.